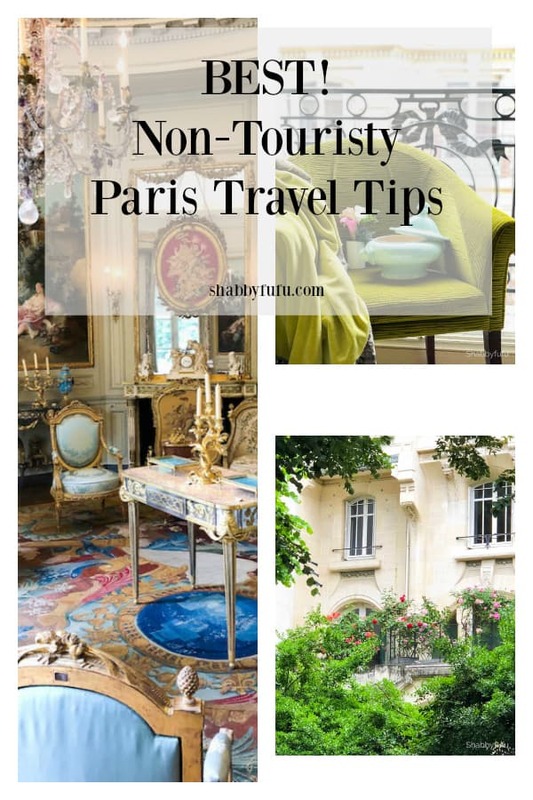 Paris travel tips are what I’m sharing today, and they are perhaps a bit out of the box. If this isn’t your first visit to Paris or you want some different suggestions than the ordinary take heed! I’ve spent lots of time in Paris and by now know the city fairly well. There are so many more things to see besides the usual tourist spots. There is unlimited beauty and inspiration in Paris! One could live an entire lifetime there and never take it all in. 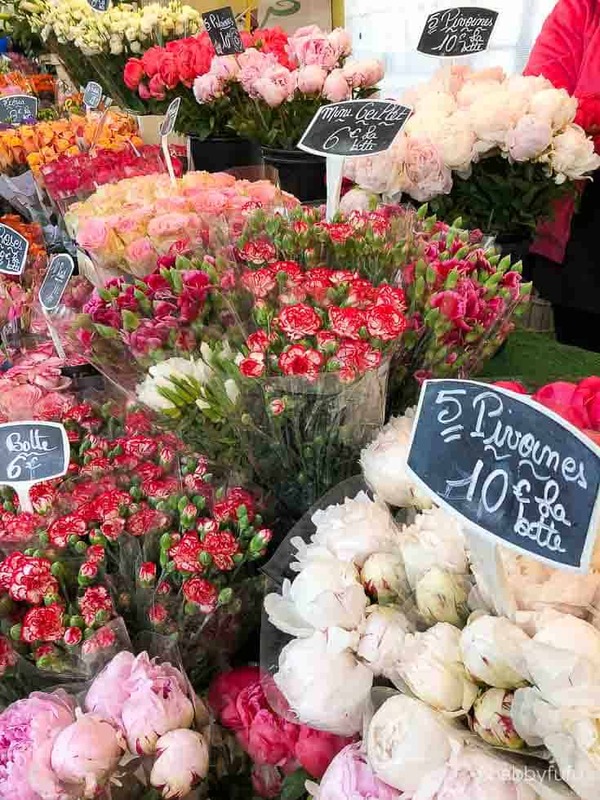 I have 10 favorite out of the ordinary non touristy things to do in Paris for you in this post. We love staying in boutique hotels and find that the service is usually better worldwide. This is the 4th time that we’ve stayed at the Hotel Ares that is privately owned and managed. The decor is luxurious and the price is very reasonable and includes breakfast. 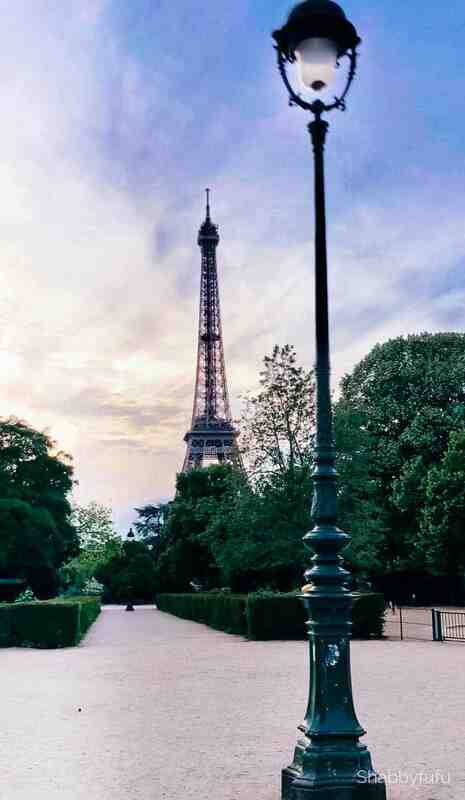 It’s located in our favorite area with lots of very good restaurants around the corner and a 10 minute walk from the Eiffel Tower. As we were leaving the hotel owner told me that they are upgrading to all new beds. The lobby of the hotel is quite comfy and a great place to sit and read or work on your laptop. There are just so many times that I can visit The Louvre or some of the other museums in Paris. Yes, you’ll always see new things but check out some of the smaller museums that are off the beaten path and less crowded. 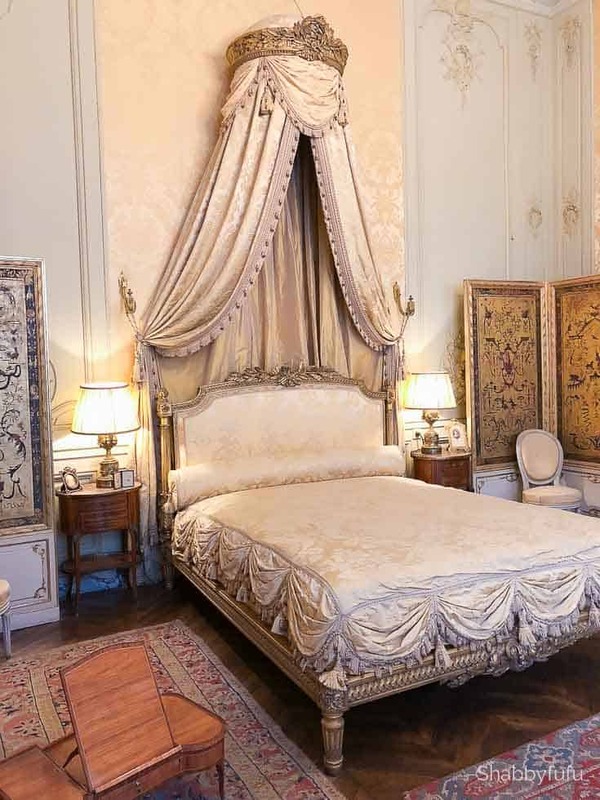 The Nissim de Camondo Museum is an elegant house turned museum adjacent to the Parc Monceau. 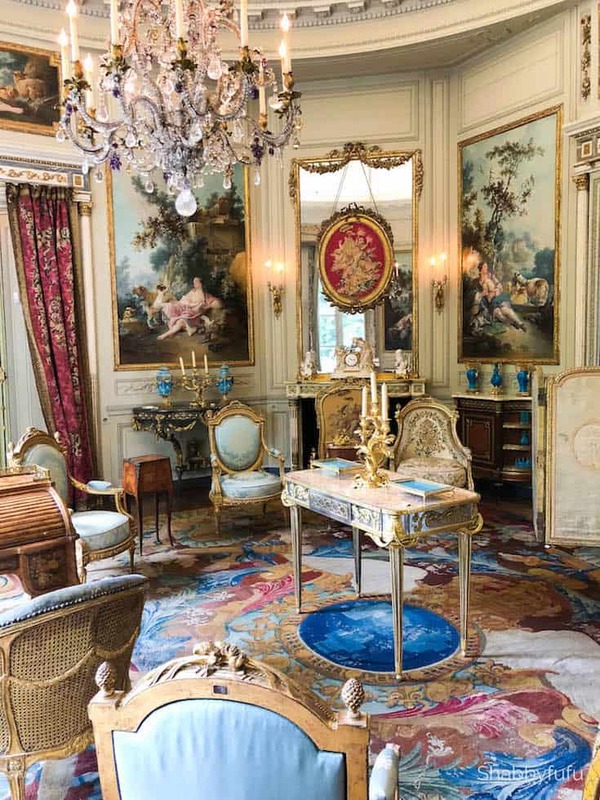 Another beautiful decorative arts museum to see is the Jacquemart-Andre Museum. My iPhoneX photos do not do any of these attractions their deserved justice! 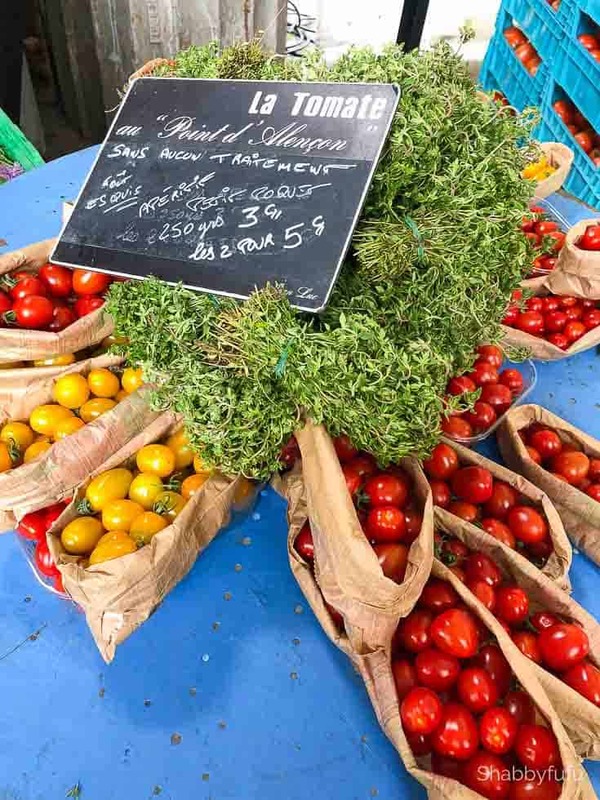 The fresh food available in the open air markets in Paris is beyond belief. Food as nourishment is taken to a whole other level and is art to see and taste. There are a plethora of these and you can’t walk around Paris on weekends without running into them. 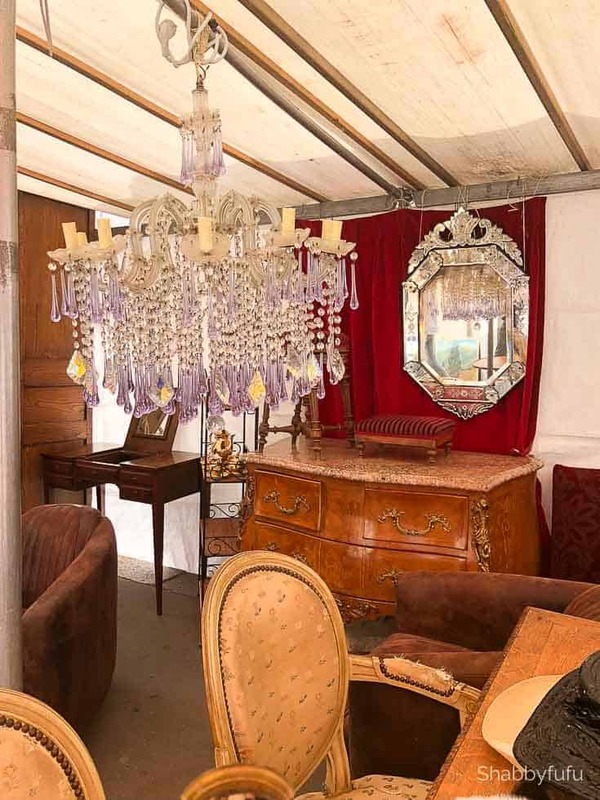 Off the beaten path you’ll find brocante markets (flea markets) and they are far more interesting than the usual tourist brocantes. I can’t even talk about Paris travel tips without mentioning that you need to seek these out! Just ask the locals and be on the lookout for flyers hung on lamposts! 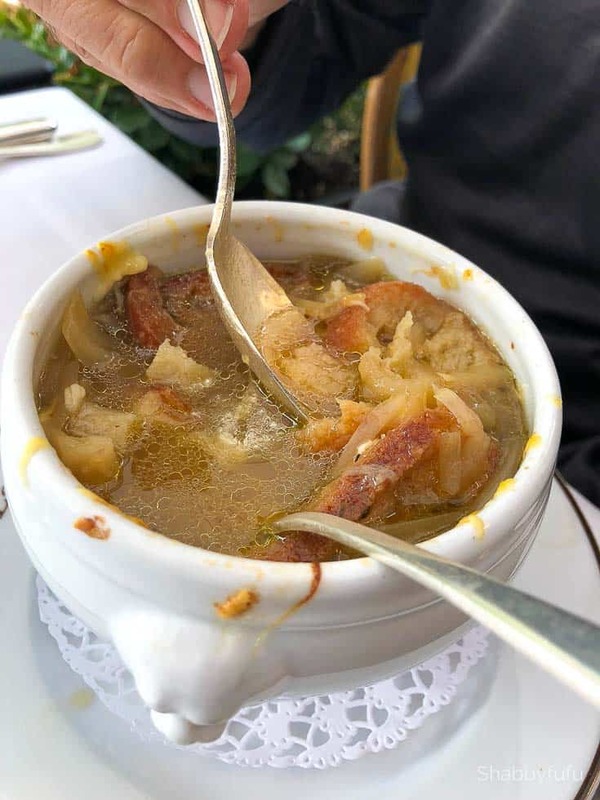 There is no place better to have French onion soup than in France. No surprise there, and we tasted fabulous soups in both fancy restaurants and street bistros. Since it was chilly in early May and while I had a cold we had soup on a daily basis! 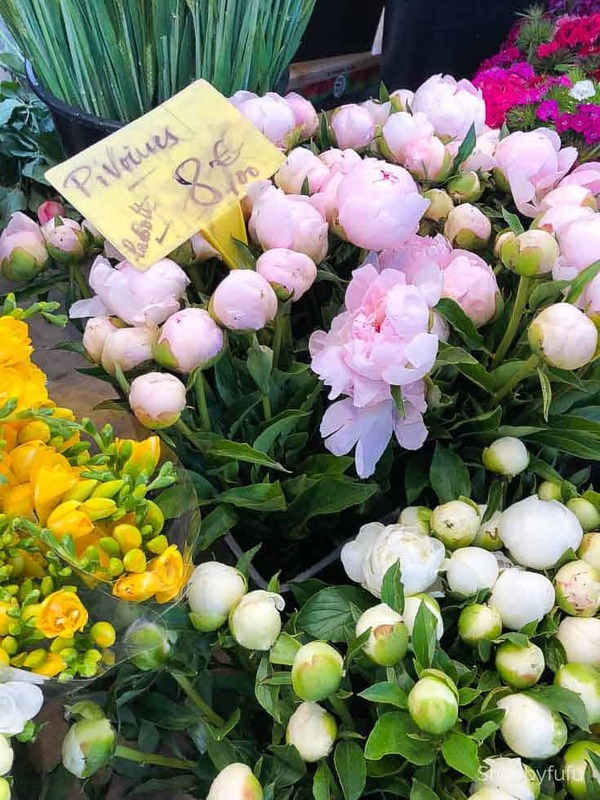 The scents and scenes of the flower markets in Paris will take your breath away! If you are staying for a few days then treat yourself to some flowers. It’s something to enjoy and it seems like the flowers are just prettier in Paris. Possibly my favorite of the Paris travel tips today! With outdoor bistros being the norm in Paris it’s a great pastime to enjoy a café crème and just observe. 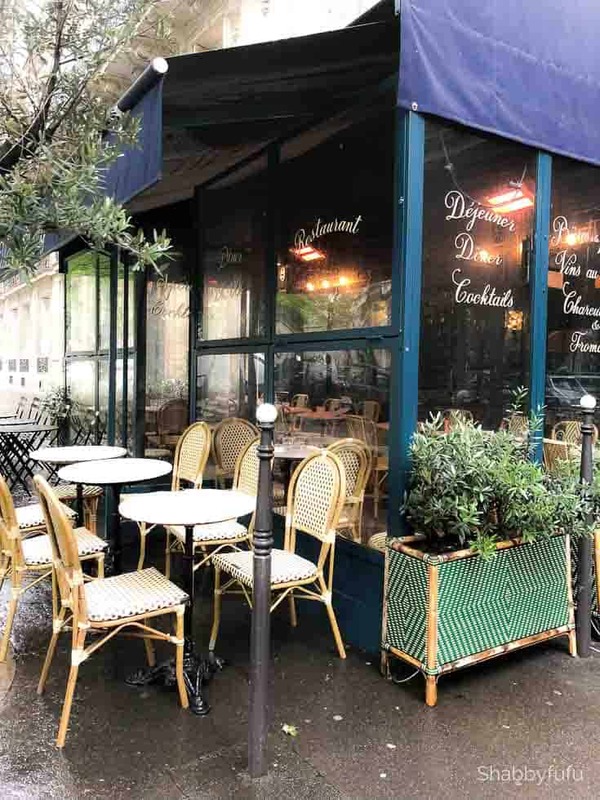 We have found over the years that some of our favorite meals have been at these small bistros. Take your time and then take your time some more. As a result you’ll come away feeling relaxed and that’s so important the older that you get when traveling. The Eiffel Tower is one of the most famous landmarks in the world and the famous symbol of Paris. There is a lot more in the area and the park Champs du Mars that adjoins the tower is a beauty unto itself. 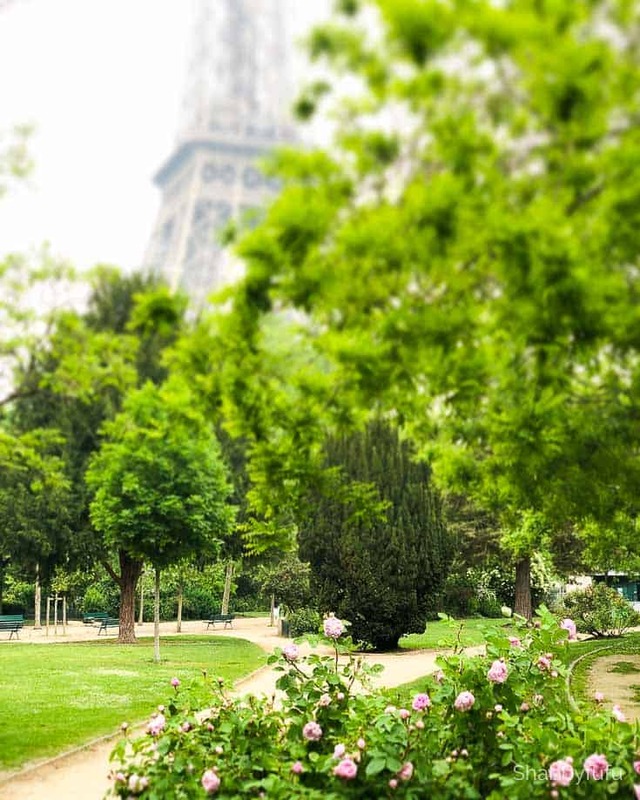 Paris is a city of parks and in the spring the beauty of the flowers make them all more appealing. All of my travel photos were take with my phone. 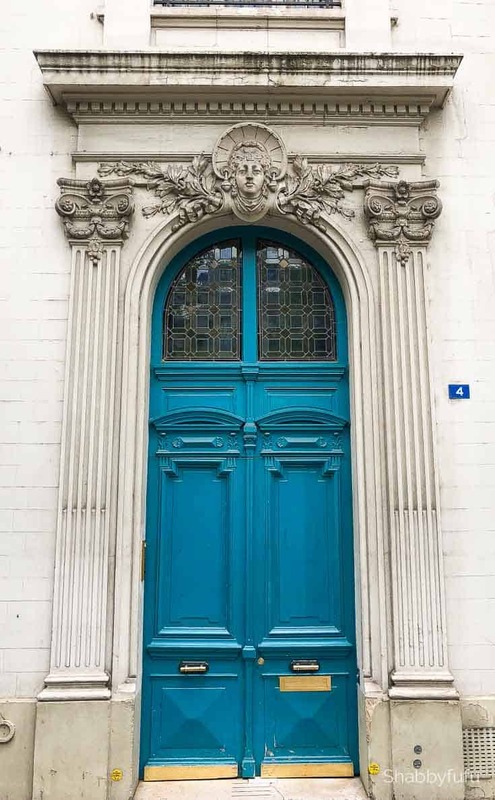 These days it’s easy to photograph the beauty of Paris and the doors, balconies and architectural elements are well worthy of a study. When you’re home get some of your photos enlarged and framed and create a gallery wall full of Parisian studies! We walked, walked and walked some more, only to find ourselves on the Champs Elysee around lunch time one day. Lingering for hours over a delicious lunch at the famed Laduree was so enjoyable. The French elements were exquisite in this old building and the food was delicious. Laduree is not just a place for macarons! If you enjoyed this travel post be sure to look for my others by putting TRAVEL in the search bar. Then PIN IT BELOW for future reference! I’m headed back to Paris in a few weeks and will be sharing daily on my INSTAGRAM account and more on the blog. We have done the tourist items in Paris but really enjoy visiting the smaller places most people don’t get to. We love history so the smaller museums are perfect. My favorite: sitting at outdoor bistros, drinking coffee in the morning, and wine in the afternoon … and evening. You take lovely pictures. I had several pictures blown up and are framed in my little Bistro bar in my home. Love your blogs! This is a post I will refer to again as I’m hoping to fulfill a bucket list trip to Paris in a year or two. You’ve given me such inspiration!! When i am in a new place I sometimes like to see the tourist sights but it is always more fun to do what the locals do. I would love the flea market and farmers market that you showed. Paris is on my bucket list. I am so in love with your post. The photos were lovely and made me want to be there NOW. I love doing local things when I travel! You can learn and experience so much more! These places look great! I’d love the markets! Thank you, this post has brought back many similar memories if our trip to Paris and of our road trip in France. The friendliness of the French people is was what I remember most! Also, I was impressed by all of the agriculture, art, architecture, gardens, food culture, wines! ! and variety of styles of homes throughout the country. Simply fabulous! These are great ideas if you’ve already seen the Louvre, etc. I think you really have a sense of experiencing Paris like a true Parisian would. These are some great tips, we went to Paris many years ago now! I would absolutely love to go back as we didn’t plan that well and while we saw what we could I’m sure we could have made more of it. I have never been to Paris or France. I have always wanted to go there, it’s on my travel bucket list and I’d love to see all of the sites and try all of the foods. Beautiful Janet!! Oh my dream is Paris! I know that I need to go sooner than later! I would definitely be people watching and enjoying hours of wine and delicious French fare! Definitely saving this post!! I’d love the eateries and the fresh air markets. Clearly, you’ve seen the best of Paris. I’d love to see the French country too! 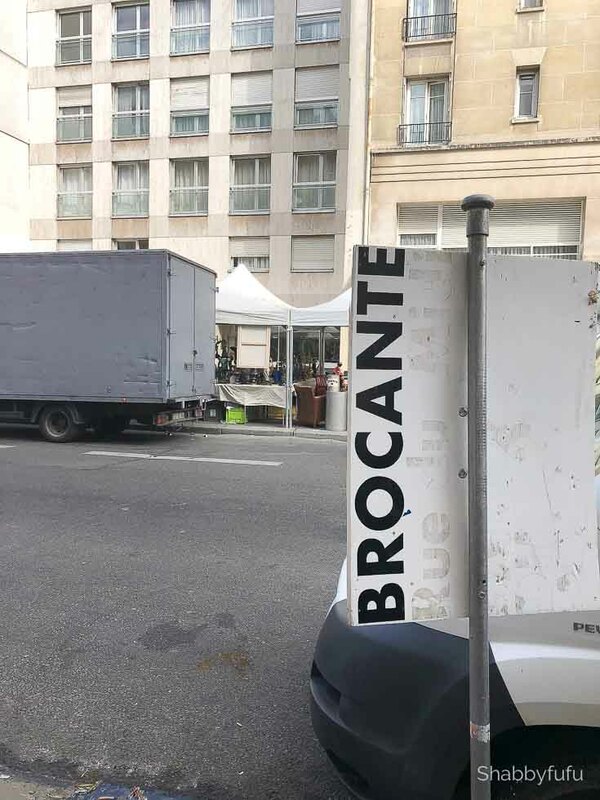 The local brocante would be my jam! Thanks for all these tips, I will keep these in mind if ever we visit Paris. I need to bookmark this post for when I got to Paris one day. I’ve never been there but I will get there one day!! Janet, I love Paris and I love this list! I hope one day to spend an entire month taking in Paris slowly and savoring each moment! I am filing this on my trip to France board. Great suggestions and that hotel sounds wonderful!! Paris would be a dream trip to take. That room looks so royal too! Just to see the Eiffel Tower in person is a goal! Having covered the major sights of Paris like Eiffel Tower, Louvre, etc. on our first visit we want to explore more of Paris and the off-beat attractions when we get there. This is the kind of experience we would be looking for. You had me at French onion soup. I love that stuff. I didn’t have any when I was in France but it’s been so long. I have to go back soon. Great tips. Thanks! Small museums make sense because probably fewer people. 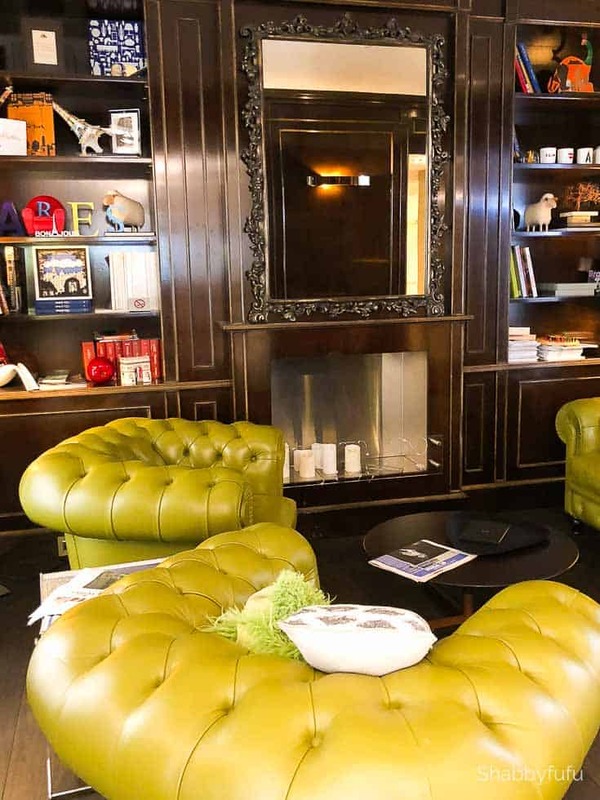 If we go to Paris we would definitely stay in a boutique hotel! Thank you for sharing these fabulous tips! That Museum kitchen is FANTASTiC !! WoW !! AND then you could visit fam in the Bay Area. 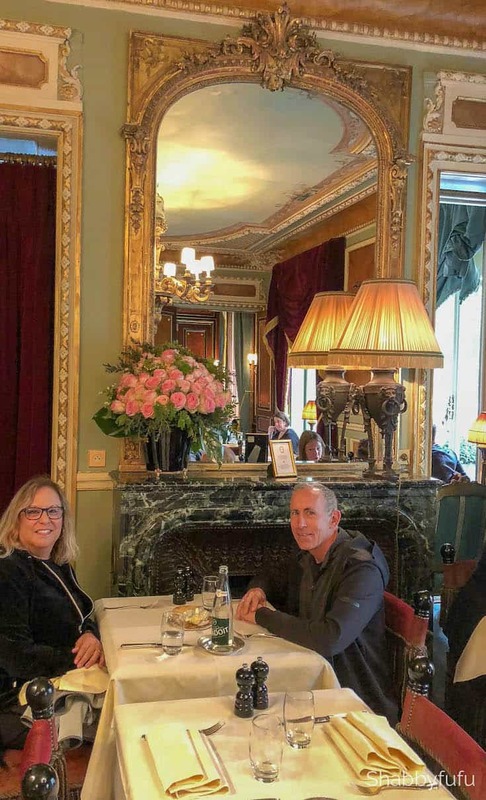 You sat at the very same table we did in Laduree. We were In Paris May 8, 9 and 10 midmorning and enjoyed cappuccino and desserts. I wish I had asked our waiter to make our picture together. Finding a great place to dine is such a beautiful city would be tough. I’d like to try it all! Thanks for the pointers. I’ll keep them in mind. What a thoughtful and terrific post on what to really do in Paris. I went three years ago and stayed in a boutique hotel in the 7th arrondissement and it was so wonderful! I love your photos from the tiny museum in the home, and from Laduree where it seems you snagged the best table! I just painted my dining room Laduree green from the looks of that photo! Thanks for sharing Janet! This room looks just gorgeous! Paris is definitely in my bucket list and I’m planning to visit next year. Thank you for sharing this post. If on a tight budget all types of hotels is a definite no-no. We visited Paris two months ago and stayed in a luxurious french airbnb apartment with a view on the Seine and the eiffel tower. It was a fraction of the price of any hotels. We will never use any other type of accommodation. So great that you found an Airbnb that you enjoyed Suzanne! We have stayed in many in our travels and mostly had great experiences as well. Do you care to share your special find here with our readers? After our River Cruise, my husband booked a room at the Hotel Ares for a week. We highly recommend this amazing boutique hotel! The owner and staff were wonderful. We would definitely stay there again! We will be visiting Paris, Antibes and Avignon for 3 weeks in June. Booking charming AirNB’s was so much fun and just heightens the anticipation. Can’t wait for the gardens and bistros. I look forward to following your travels in instagram too. 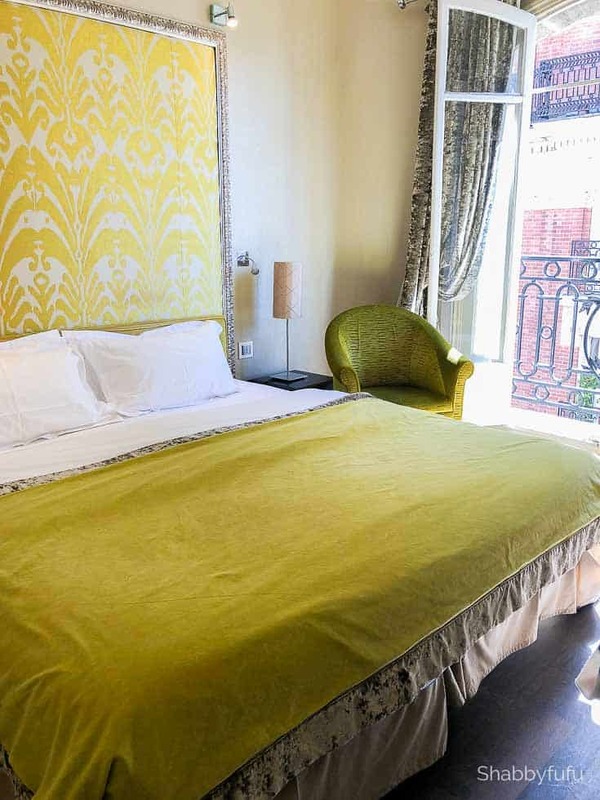 We highly recommend the Hotel Aris. On one trip we took our 9 year old granddaughter and she also fell in love with our favorite hotel.